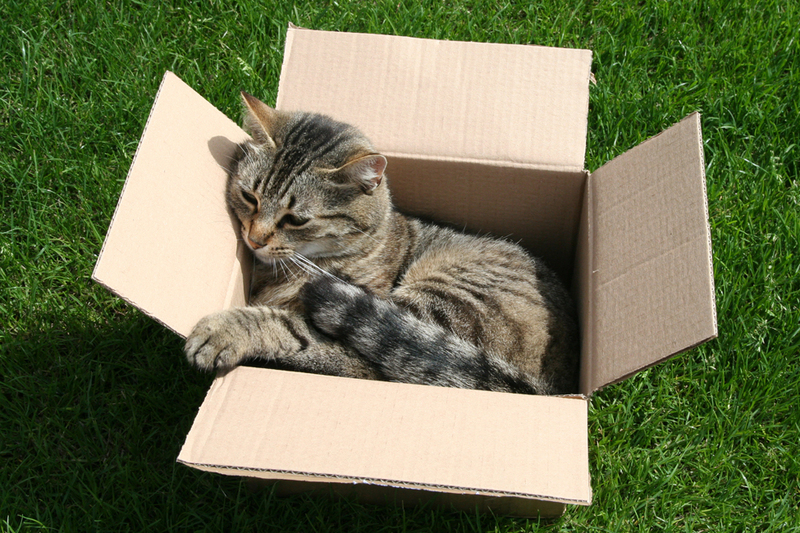 Cats are very territorial animals and they may have problems accepting a new house as their home. What can I do to help my cat settle in a new home? • Before leaving the old house make sure your cat has been microchipped and wears a collar with an identity tag. • Cats should be transported in a safe well secured container such as a cat basket or cat box so there is no danger of escape. • On arrival at the new house the cat should be left in its basket until one room has been sorted out and installed with familiar objects. The cat can then be let out but kept confined to this room and a litter tray provided. To help the cat to settle it should be fed with its favourite meal. • Once the removal has been completed and the house is quiet check that all the doors and windows are closed and allow the cat to explore. • Cats should be given lots of extra attention, petting and extra food during the period of settling in. The cat should be fed indoors for at least 7-10 days before being let outside. • Once the cat has begun to accept the house then it can be shown the garden. At first, it should only be let outside before meals so food can be used to lure the cat back inside if it wanders too far. Cats are much more likely to fight in a new territory so careful observation is vital especially in first few weeks. • Initially the cat should be let out alone only for short periods during the day. It should be hungry so that it will not wander too far and will readily respond to a call when its meal is ready. • If possible try to avoid having builders working in the house during the initial settling in period. Cats hate this and it will inevitably make readjustment more difficult. The use of pheremones to settle cats in new environments has proven to be very helpful. This special scent (odourless to people and other animals) that Feliway utilizes is a replication of the pheromone that cats leave naturally when they are feeling comfortable in their environment. It comes in a diffuser or spray form and is sold over the counter. How long will it be before I can safely let my cat outside alone? This is very variable depending on the disposition of the cat and how much time has been spent on making the cat feel at home; some cats take only a few days to settle down whilst others may take three weeks or more. Outdoor cats with a wide experience of change tend to cope best but even they should be kept in for a week to give them a chance to learn about their new home. My cat is very nervous. Are there any special precautions I should take? It may be wise to board particularly nervous cats in a friendly cattery before the packing up of the old house starts and to keep them there until everything is unpacked and positioned in the new house. My cat keeps returning to our old house. What can I do? This happens because the bond with the new home is not sufficiently established. Measures must be taken to establish the new home as the source of food and shelter ( in contrast to the old house where these things are denied him). It may take weeks or months before the cat can safely be let out unattended. 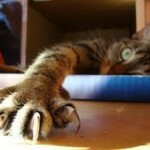 • Keep the cat indoors at the new house for about a month. Use the guidelines given above to try increase the bond with the new house. It may help to feed the cat small meals several times a day. • When the cat is first let out it should be starved for 12 hours so that it is really hungry. It should be left out for only a short time and then called in and fed. For the first two weeks it should only be let out once a day and be called in after no longer than 30 minutes and fed immediately. • Warn the new occupiers of your old house and discourage them from feeding the cat, talking to the cat or otherwise encouraging it. In some cases active deterrent action can be tried such as turning the cat out and throwing water at it. • Other neighbours, even those who were previously friendly with the cat, should be asked to behave similarly. • As a last resort consider boarding the cat for a few weeks in a cattery as far away as possible from either home to try to scramble its memory of its old home and its homing mechanism. Moving house can be just as traumatic for the indoor cat because it involves a complete change of personal territory. Gradual introduction one room at a time with lots of attention will help to reduce the stress of the upheaval.